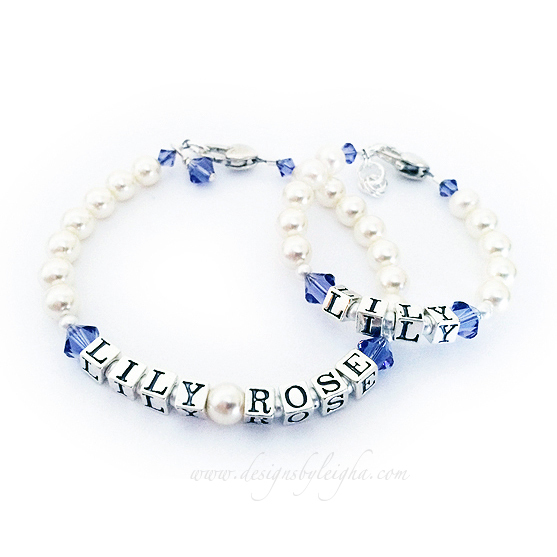 Here are 2 bracelets for a mother and her daughter (each sold seperately). 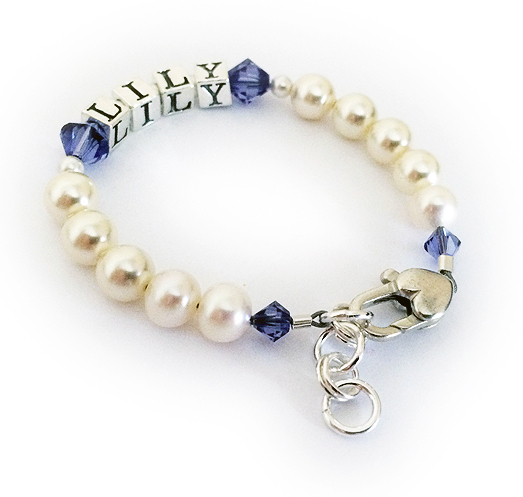 I have used off-white Swarovski Pearls and Purple Swarovski Crystals for both bracelets. They added a Birthstone Crystal dangle on the Mother's Bracelet and an Extension Clasp on the daughter's bracelet. They also upgraded to the Heart Lobster claw clasps to both bracelets.